Know All About Form 16 – Be An Informed TaxPayer. Most of us are aware of Form 16 given by our employers before April 30th each year that give details of the income earned, and tax deducted at source and paid to the government. This certificate proves useful in filing income tax returns. In addition banks also issuing Form 16 and Form16A to pension holders and those that earn interest income, with no Form 16 required when TDS is not deducted from salary. Knowing about Form 16 helps us to be a well-informed taxpayer and do better tax planning. TAN is best known as Tax Deduction and Collection Account Number is another mandatory 10 digit alpha-numeric number that is very necessary for all persons and companies that are responsible for collecting taxes. It proves useful to note that this number is unique in case of different companies. Gross salary, the common term used in practice includes all regular incomes in an employee’s remuneration. It would include allowances, overtime pay, commissions, and bonuses, with all other amounts before the deductions are made. It is best to know that perquisites are just additional benefits in addition to the fixed salaries. Known popularly as perks this term could include rent free accommodation, loans at subsidized rates and others. Profits in lieu of salary are just payments given instead of salary that is given by at or in connection with retrenchment or termination of employment. This item forms a part of taxable income and includes gratuity, commuted value of pension, retrenchment compensation. However the contribution made by the employee or interest thereon is not taxed. Next allowances in Form 16 are certain payments made or allotted to employees for bearing of certain expenses. It could include allowances like medical allowances, and travel allowances that are generally taxable in the hands of the employees. House rent allowance or HRA In Form 16 refers to a special allowance paid to employees to meet the cost of housing. There is tax exemption on HRA and it is limited to the least of either the HRA received from employer, or rent paid in excess of 10% of the salary, or 50% of salary in metropolitan cities and 40% in other cities. The term salary here includes basic, dearness allowance and other commissions put together, this exemption not available to those that do not pay rent. It is best to understand conveyance allowance as an allowance paid to an employee to meet commuting expenses between his/her home and place of work.There is a maximum exemption of Rs.800, with a special provision for an orthopedically handicapped employee until Rs.1600. The term medical allowance paid for medical treatments and medicines is fully taxable. Howeverreimbursement of medical expenses against submission of bills could get you a maximum exemption of Rs.15000 annually. The allowance received to employees for entertainment services or entertainment allowance is allowed as a deduction for government employees.However in other cases one can avail of deduction as a least of actual allowance received, or 1/5th of salary excluding all other allowances and perquisites or Rs.5000. Deductions as in Form 16 is given as an incentive given by the government to invest in certain long term savings schemes. This includes long term savings for retirement, insurance schemes and others that give tax breaks. All taxes in India are subject to an education cess that is 3% of total tax payable. This contribution is made towards the Secondary and Higher Education development in the Indian economy. It is lastly important to understand the relief granted to employees when salary is paid in arrears in a lump sum best known as Relief u/s 89.This includes salaries received in arrears/advance, family pension received in arrears, retirement benefits such as gratuity, commuted pension, VRS and retrenchment compensation. Eight Simple Ways to Plan your Taxes. You have got only a few more months to complete this financial year. 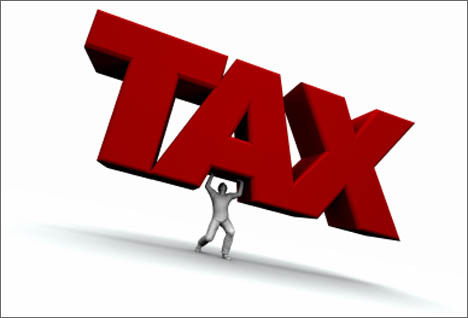 Very soon you will get a call from your company to submit the proofs for tax saving investments. So why don’t you spend some time on organising your tax plan? v Leave Travel Allowance (LTA) can be part of your salary as this can be claimed twice in a block of 4 years. As far as possible utilize the maximum exemptions available under section 80 C, 80 CCF and 80 D. The maximum exemption available under section 80 C is Rs. 100000. Under this section Rs.100000 investment or contribution can be made in PPF, NSC, Life insurance premium, 5 year FD with banks and Post offices, Mutual Fund ELSS, Principal Repayment of housing loan, and the tuition fees paid for children’s education. Under Section 80 CCF, you can invest up to Rs.20000 in infrastructure bonds. Under Sec 80 D, the premium paid towards the mediclaim policies are exempt. The maximum limit of exemption is Rs.15000 and for senior citizens the limit is Rs.20000 and for covering senior citizen parents there is an additional exemption to the extend of Rs.15000. The Principal repayment of a housing loan is eligible for a deduction up to Rs.100000. The interest paid on a housing loan is eligible for a deduction up to Rs.150000. If the housing loan is for a sizeable amount, then it is possible that the principal repayment and interest may exceed the specified tax exemption limit. To utilise the maximum tax benefit, an individual can consider going for a joint home loan with his/her spouse or parent or sibling. This will make sure that both the co-owners can claim tax deductions in the proportion of their holding in the loan. You should not do your tax plan in isolation. You need to do it in sync with your overall financial plan. So a tax plan is not only to just save taxes and also it should assist you in achieving your other financial goals like children’s higher education, buying a home or retirement. In fact the right time to do the tax plan is the beginning of the financial year. If you postpone your tax planning even now and do it in the last minute, then you will not be able to choose the right investment. In the last minute rush, you will be forced to choose a scheme which gives the proof immediately. Is the investment sound and profitable? Is there any other better options? You will not be able to choose the best scheme and you may settle with a mediocre one. Some tax saving options like NSC or ELSS need only onetime investment. Some other tax saving options like PPF, Ulips need periodical investments year after year. You need to be careful in choosing a tax saving scheme where you need to commit for periodical future payments. You need to check on a few things like; do you need such a future commitment? Will you be able to meet the future commitments at ease? The law may change and you may not get any tax exemption for your future payments. Would you consider the scheme irrespective of tax benefit for the future payments? With proper tax planning you can reduce your tax liability; save more; invest better and become wealthier. New Delhi, May 16 (PTI) Giving relief to 4.71 crore subscribers of EPFO, the government has allowed tax exemption on the 9.5 per cent interest income on PF deposits for 2010-11. The Finance Ministry notification last week raises the income tax exemption to 9.5 per cent interest income from 8.5 per cent. The decision clears the air for the EPFO subscribers who were given increased interest rate by one percentage point for 2010-11, but the Finance Ministry had not matched the interest hike with a commensurate tax exemption. In the absence of the commensurate income tax exemption, the subscribers were earning higher returns even as it was liable to income tax. EPFO had decided to provide 9.5 per cent interest rate on PF deposits for 2010-11 after which it was endorsed by the Finance Ministry in March this year.